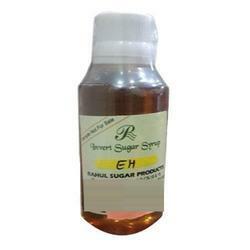 We are Manufacturers and exporters of high quality Energetic H Sweetenerfrom India. Our Energetic H Sweeteneris widely used in various Industries including Hotels, restaurants and Coffee shops. Our Energetic H Sweeteneris widely used in bakery, soft drinks, ice creams , herbal cosmetics and squashes etc. We are exporting Energetic H Sweetenerto various countries like Middle East, UAE, Israel, Dubai, Poland etc. With the help of a proficient team, we offer a varied range of Energetic H Sweetener. Our products are highly used in the market for various purposes. Our clients can avail this product from us at the most inexpensive rates. This product is enormously admired by our customers for their moisture-proof packaging, precise composition, and longer shelf life. Pharmaceutical - Allopathic, Ayurvedic, Unani and Homeopathic. Squashes, Lemonades, Instant Energy Drinks, Juices, Cold drinks, etc.